T.S. Sivagnanam, J. – This Tax Case (Appeal) by the assessee is directed against the common order passed by the Income Tax Appellate Tribunal (hereinafter called as the “Tribunal”) in I.T.A.Nos.916/Mds/02, 1947 & 1948/Mds/02 for the assessment years 1998-99 and 1991-92 and I.T.A.No.968/Mds/2001 for the assessment years 1998-99. 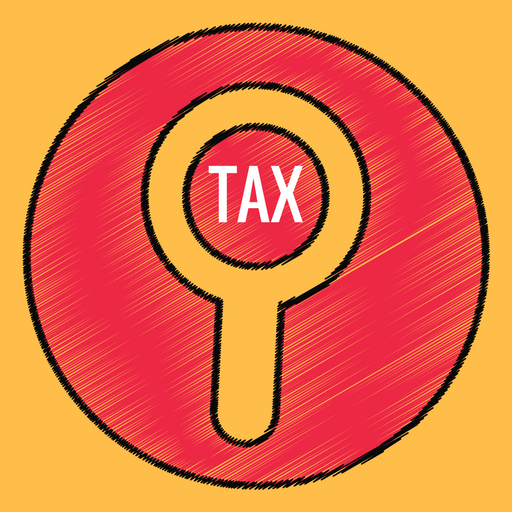 The present Tax Case (Appeal) is with respect to I.T.A.No.968/Mds/2001 for the assessment years 1998-99. 2. The assessee filed its return of income for the assessment year 1998-99 showing a total income of Rs.7,49,07,620/-. The return was accepted under Section 143(1)(a) of the Income Tax Act, 1961 (hereinafter called as the “Act”). Subsequently, notice under Section 143(2) was issued and the assessee filed their response and the assessment was completed by an order of assessment dated 31.01.2001. In this appeal, we are concerned only with two issues viz., regarding the power tariff concession given to the assessee is a revenue receipt and regarding scrap sales whether to be included in the total turnover for the purpose of deduction under Section 80HHC of the Act. 3. The Assessing Officer, while considering the issue relating to the power tariff concession, held that the assessee appended a note to the Memo of computation of income filed along with the return of income, wherein, the assessee stated that it received a sum of Rs.3,97,15,795/- and that industrial power tariff concession granted by the Tamil Nadu Government which was credited to the Profit & Loss account and offered to income-tax, although according to the assessee, it is a capital receipt; the assessee, by letter dated 29.01.2001 contended that this amount is a capital receipt and should be deducted from the Business income offered to tax; in making the claim, the assessee sought to distinguish the facts of its case from the facts in the case of Sahney Steel & Press Works Ltd., v. CIT  228 ITR 253/94 Taxman 368 (SC) by stating that in that case, the assessee had received subsidies on power consumption from the Andhra Pradesh Government and the Supreme Court held that such payments by Government were made to assist new industries to carry on their business profitably; the payments were nothing but supplementary trade receipts. The Assessing Officer further observed that subsidy had not been granted for the very setting up of the business; the Supreme Court held that the subsidy received for power consumption was of revenue in nature. The Assessing Officer, after considering the nature of subsidy granted to the assessee held that their case is also similar to that of the case of Sahney Steel & Press works Ltd. (supra) and the purpose of power tariff concession is to enable those who set up high tension industries in the notified area to carry on their business profitably and the subsidy provided by the Government is not for meeting any capital costs of setting up of a business and therefore, the power tariff concession received by the assessee is clearly a revenue receipt and correctly offered to tax and no deduction is called for. 4. As regards the deduction under Section 80HHC of the Act, in respect of scrap sales, the Assessing Officer has followed the earlier year’s order and included the same in the total turnover of the assessee for computing deduction under Section 80HHC of the Act. 5. The assessee, being aggrieved by such order dated 31.01.2001 preferred appeal before the Commissioner of Income Tax (Appeals). The First Appellate Authority, while considering the issue relating to power tariff concession, rejected the contention raised by the assessee. The First Appellate Authority pointed out that the subsidy is given by way of power tariff concession is not related to production. In support of such conclusion, the First Appellate Authority placed reliance on the decision of the Honourable Supreme Court in the case of Sahney Steel & Press Works Ltd. (supra) and held that power tariff concession before commencement of production, will only be negligible and it can safely be presumed that the incentive is basically related to HT power consumption when production commenced; further the subsidy in question cannot be considered as capital for the reason that it is not attached to any capital outlay and the assessee’s contention that commencement of the production is not a pre-condition cannot be accepted for the reason that the subsidy is granted for the period of three years making it purely a production incentive and therefore it has to be considered operational and production subsidy rather than capital subsidy. The First Appellate Authority rejected the plea raised by the assessee by placing reliance on the Madhya Pradesh High Court decision in the case of CIT v. Rajaram Maize Products  234 ITR 667/99 Taxman 121 and submitted that the decision rendered will hold the field and rejected the contention of the assessee. 6. Insofar as the claim regarding the deduction under Section 80HHC of the Act in respect of sale of scrap, the First Appellate Authority confirmed the order of the Assessing Officer and dismissed the appeal filed by the assessee by order dated 28.03.2001. Aggrieved by the orders passed in ITA.No.916/Mds/2002 for the assessment year 1998-99 and I.T.A.No.968/Mds/2001 for the assessment year 1998-99, the assessee preferred appeals before the Tribunal, reiterating the contentions raised before the First Appellate Authority and placing heavy reliance on the decision of the Madhya Pradesh High Court in the case of Rajaram Maize Products (supra). 7. The Tribunal placing reliance on the decision of the Honourable Supreme Court in the case of CIT v. Rajaram Maize Products  251 ITR 427/119 Taxman 492 held that the power subsidy is of revenue in nature and has to be taxed accordingly, especially when subsidy has gone to reduce the electricity bills and rejected the case of the assessee. 8. With regard to the scrap sales, the Tribunal following the decision in the case of Jt. CIT v. Virudhunagar Textiles Mills Ltd.  97 ITD 306 (Chennai), held that it has to be included in the total turnover in the denominator. “1. Whether on the facts and in the circumstances of the case, the Tribunal was right in law in holding that the Power Tariff Incentive received by the appellant from the Government is a revenue receipt liable to tax ? 2. Whether on the facts and circumstances of the case, the Tribunal was justified in not appreciating that the subsidy was received by the appellant prior to commencement of production and hence it is a capital receipt ? 10. Mr. C.V. Rajan, learned counsel appearing for the assessee placed heavy reliance on the decision of the Honourable Supreme Court in the case of CIT v. Ponni Sugars & Chemicals Ltd.,  306 ITR 392/174 Taxman 87 and contended that to determine the purpose for which the subsidy is given, the test is the character of the receipt in the hands of the assessee and in other words, one has to apply the purpose test. Therefore, it is the contention of the learned counsel for the assessee that the concession is given for the purpose of setting up or establishing the new industry in the area specified and not based on commencement of production. Learned counsel further submitted that the Tribunal erred in following the decision of the Honourable Supreme Court in the case of Sahney Steel & Press Works Ltd. (supra) as the said decision is not applicable to the facts of the case. Therefore, it is the endeavour of the learned counsel to impress upon this Court that it is the concession tariff extended by the Government by G.O.Ms.No.29 Energy (A2) 31st January 1995 is for setting up of new High Tension industry in area other than Metropolitan Area. 11. The learned counsel for the assessee further submitted that the scrap sales does not represent the turnover manufactured by the appellant and the said amount would reduce the cost of raw materials consumed. In support of such contention, learned counsel relied on the decision in the case of CIT v. Lucas TVS Ltd.  308 ITR 377 (Mad. ), CIT v. Shiva Distilleries Ltd.  293 ITR 108 (Mad) in the case of CIT v. Ashok Leyland Ltd.  297 ITR 107/170 Taxman 185 (Mad.). 12. Mr.Arun Kurian Joseph, learned Standing counsel appearing for the Revenue sought to sustain the order passed by the Tribunal and submitted that the issue is squarely covered by the decision of the Honourable Supreme Court in the case of Sahney Steel & Press Works Ltd. (supra) and the concession is based on the production and the Tribunal rightly took note of the facts of the case and confirmed the decision of the First Appellate Authority and treated the same as revenue receipt. 13. We have heard Mr.C.V.Rajan, learned counsel appearing for the assessee and Mr.Arun Kurien Joseph, learned Standing Counsel for the Revenue and perused the materials placed on record. 14. The concession granted to the assessee is pursuant to the industrial policy announced by the Government of Tamil Nadu under which number of concessions were extended as incentive to carry on the industrial development. One such concession/subsidy is the power tariff concession. The tariff rates were fixed pursuant to the statutory notification. In terms of Section 4 of the Tamil Nadu Revision of Tariff Rates on Supply of Electrical Energy Act, 1978 (Tamil Nadu Act 1 of 1979), the State Government may after taking into account the cost of production of energy, and such other matters as may be prescribed, by notification, amend the provisions of the Schedule to the Act. The Schedule to the Act consists of several Parts. Part-A deals with “High Tension Supply”. The Notification under which the assessee claims power tariff concession in G.O.Ms.No.29 Energy (A2) 31st January 1995, has been issued in exercise of the powers conferred under Section 4 of the Tamil Nadu Revision of Tariff Rates on Supply of Electrical Energy Act, 1978 and the said notification amended the earlier notification and came into force on 01.02.1995. 15. On a careful reading of the Notification, it is evidently clear that the notification imposes several conditions and it is not contingent upon the industry merely being established in an area other than non-Metropolitan area. The Notification clearly states that the unit should have reached the particular percentage for claiming tariff concession. Therefore, it is clear that the power tariff concession does not get automatically extended merely on the fact that the assessee set up the industry in other than non-metropolitan area viz., in the instant case, Sholinghur and at Polambakkam. Once, we steer clear of this factual position, the question that remains to be considered is how the tariff concession should be treated under the provisions of the Income Tax Act. This question is no longer res integra and answered by the Supreme Court in the case of Sahney Steel & Press Works Ltd. (supra), wherein, the Honourable Supreme Court laid down the basic test to be applied in judging the character of the subsidy. It was pointed out that the character of the receipt in the hands of the assessee whether Revenue or capital has to be determined with respect to the purpose for which the subsidy was given and that the point of time at which it is paid, its source or its form were irrelevant; if the object of the subsidy was to enable the assessee to run the business more profitably then the receipt is on revenue account; on the other hand, if the object of the assistance under the subsidy scheme was to enable the assessee to set up a new unit or to expand the existing unit, then the receipt of the subsidy was on capital account. 16. In the preceding paragraphs, we have noted the object and purpose and intent of the Tariff Concession. A cumulative reading of the conditions makes it manifestly clear that the condition is not contingent upon establishment of the unit, but, for the purpose of assisting the assessee in carrying out the business operation and the subsidy is given subject to strict compliance of the conditions given in Notification No.G.O.Ms.No.29, Energy (A2), 31.01.1995. Therefore, the receipt has to be treated as Revenue receipt, as it is contingent upon the commencement of the production and to enable the assessee to run the business more profitably. 17. Before the First Appellate Authority, the assessee placed heavy reliance on the decision of the Madhya Pradesh High Court in the case of Rajaram Maize Products (supra). The said decision has been reversed by the Honourable Supreme Court in the case of Rajaram Maize Products (supra), wherein, the Honourable Supreme Court, following the decision of Sahney Steel & Press works Ltd. case (supra), held that power subsidies are of revenue nature and have to be taxed accordingly. We also find that the terms under which the subsidy was given in the present cases clearly suggest that the subsidy was of a revenue nature inasmuch as it went towards reduction of the electricity bills. 18. Further, the assessee has recorded in the books of account during the relevant previous year that the power tariff concession to the tune of Rs.3,97,15,795/- has been received as incentive in the form of tariff concession vide G.O.Ms.No.29, Energy (A2) 31st January 1995 to encourage setting up of new high tension industries in area other than Madras Metropolitan areas, wherein, the assessee setup 2 units one at Sholinghur and another one at Polambakkam and the assessee treated the receipt of incentive as revenue and credited the same to “Power and Fuel Account”, whereas, for income tax purpose, it claimed as capital in nature relying upon the decision of the Madhya Pradesh High Court in Rajaram Maize Industries (supra). Apart from the fact that the Madhya Pradesh High Court decision has been reversed by the Supreme Court in the case of Rajaram Maize Products (supra), the fact remains that the amount received as subsidy was credited to “Power and Fuel Account” and not towards “capital account”. This makes it very clear that the assessee treated the subsidy as “revenue receipt” and not for setting up of new industry, but for day to day operations. 19. In the light of the decision of Sahney Steel & Press Industries Ltd. (supra) case, which was followed in the decision in the case of Rajaram Maize Products (supra) we hold that the decision relied on by the learned counsel for the assessee in the case of Ponni Sugars and Chemicals Ltd., (supra) does not apply to the facts of the case and clearly distinguishable. Thus, we answer the question with regards to power tariff concession against the assessee and in favour of the Revenue. 20. As far as deduction under Section 80HHC of the Act is concerned, both sides agree that scrap sales is not to be included in the total turnover for the purpose of computing the deduction under Section 80HHC of the Act. The said contention is based on the decision in the case of Ashok Leyland Ltd.,(supra). 21. Following the said decision, with regard to the order of the Income Tax Appellate Tribunal on the scrap sales inclusion for the purpose of deduction under Section 80HHC of the Act, we accept the assessee’s plea and accordingly, we set aside the order of the Income Tax Appellate Tribunal in this regard. Accordingly, we answer this question in favour of the assessee and against the Revenue. 22. In the result, the Tax Case (Appeal) stands partly allowed to the extent indicated above. No costs. This entry was posted in Sec. 28(i), Section 4 and tagged 363 ITR, deduction of power tariff, In favour of Revenue, Madras High Court.